Closely following the first robin sighting of the year is spotting the first convertible of the season. It’s a picture-perfect day with a clear blue sky, maybe a little breeze, and suddenly, there it is: “Look at that guy in the Mustang with the top down.” And “There’s another convertible”, co-eds from the local college in a red Miata, their hair flowing in the breeze. Whether you’re a car enthusiast or an everyday commuter, you notice and wonder, “That looks like fun.” Accordingly, your mind wanders to a favourite 2-lane back road through the woods, and you’re the driver of that Mustang, listening to the burbling exhaust as you accelerating on a straightaway, or you’re the Miata driver hugging the curve while downshifting for a turn. With their styling, exclusiveness, and provenance, exotic convertibles are impressive because they dial-up the exhilaration, turning up the enjoyment full blast. Ferrari and Porsche, Aston-Martin and Lamborghini come to mind, marques with the attention-grabbing qualities that continually lure buyers into dealerships. And that’s not even mentioning convertibles – when you pull the top back on one of these exotic cars, the wow factor jumps even further up. So, what makes these exotic cars so exciting that they inspire such strong reactions across the board? Styling, for one, has a lot to do with it, as the world’s top design studios produce the breathtaking looks typical of the exotic car genre. Performance is another way that exotic cars are built to excite, starting with the sound of the engine roaring to life, hitting notes that range from “buzz-saw” to “jet engine firing up”. The performance factor also includes incredible acceleration times, enhanced by nimble steering capability responding to the driver’s slightest touch; race-proven handling for negotiating tight chicanes, guided by high-performance tires, and assisted by oversized, premium brakes for driver safety. Exotic convertibles are also notable because of their panache – everything about their sleek design, buzzing engine and quick movements spells wonder as you burn down the highway or drive up to a valet stand. Alas, many people believe that they cannot afford to drive exotic cars, and here is where they are wrong. Auto dealers offer great options to help you lease your next exotic car without spending a fortune, good news for someone looking to try one of these beautiful cars out who perhaps doesn’t have the money to buy one outright. In 2017, in fact, nearly 90% of luxury cars were leased – this is because savvy consumers realized that they could avoid having to shoulder the cost depreciation for an expensive car when they lease. 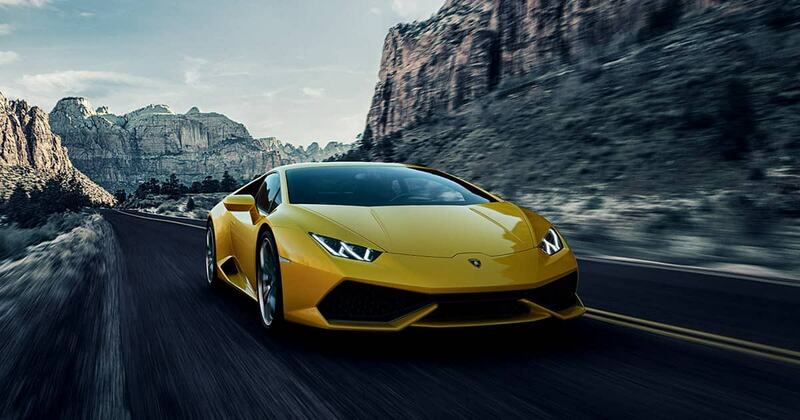 After including the maintenance and upkeep during a typical 120-month auto loan for an exotic car, leasing an exotic car is clearly the shrewd choice, with less cash down and smaller monthly payments. Practical consumers will choose a dealer offering leasing for both new and used exotic cars, with the option of flexible in-house financing, a qualified service department, and knowledgeable representatives with a reputation for service after the sale. If you want to partake in the exotic this summer, don’t head to the travel agent; head down to a luxury car dealership instead.